What’s Trending in Carpet Cleaning? 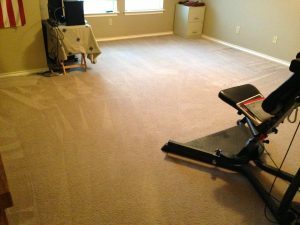 Carpet Cleaning San Antonio doesn’t frequently change. Usually it takes years for anything to change. If there is a new product or tool carpet cleaners can be a little skeptical about using it. Once it is widely used and is known to do an excellent job then carpet cleaners will slowly start using those products and tools. To prove the slow process, back in the 90s carpet cleaners used soap and detergents for carpet cleaning. Today the products used in the 90s are looked down on. Professional carpet cleaners do not use soap because it leaves residue in the carpet causing it to become dirty quicker. The reside attracts all kinds of dirt and germs causing you to have to clean your carpets sooner. Today in carpet cleaning carpet cleaners use solvents such as emulsifiers and enzymes. These solvents are more effective than soaps and do not leave any kind of residue in the carpet. Solvents can remove 95% of most stains and spots. Using solvents means you don’t have to have your carpets cleaned as frequently. Depending on how well you take care of your carpets you may only have to clean your carpets only two time a year. Although soaps and detergents have been ruled out be professionals there are still amateurs who use soaps. So every time you call a carpet cleaner be sure to ask them what they use to clean the carpets. If they say they use soap hang up the phone! Remember solvents only when it comes to carpet cleaning. San Antonio, you deserve the best in carpet cleaning so Beyer Carpet Cleaning provides the best. By keeping up with the latest and greatest in carpet cleaning Beyer is able to provide quality carpet cleaning each and every time. Beyer Carpet Cleaning uses solvents while steaming at 210+ degrees. 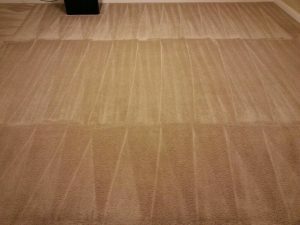 Once Beyer Carpet Cleaning is done with your carpets they will look like new! If Beyer Carpet Cleaning can’t get your carpets looking great then no one can.